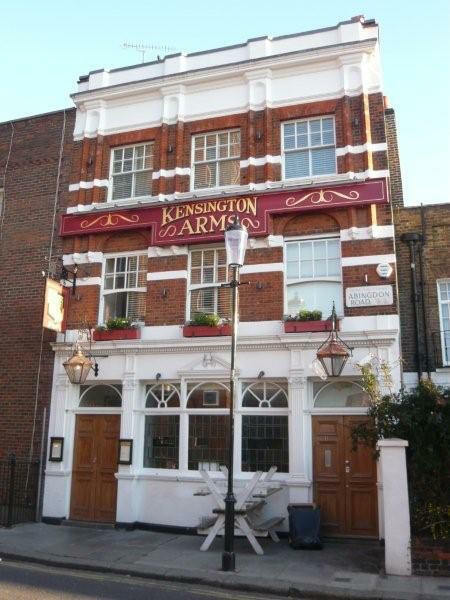 Built in 1824 ** The Kensington Arms, Newland street in 1826 and the 1870 license transfer, with the address at 29 Newland Street in the 1871 census and earlier. Publicans from during the mid 1960s until mid /late 1970s were John and Peggy Daniels with couple of sons. John died during the 70s, Peggy left not long after. My parents were some of the regulars there then - it was a great pub with a good crowd: Saloon and back - public - bar people alike. Still the same pub into the early 1990s. It was made into one bar at some point but still same decor. The 1990s saw a close down, then refit - changing the layout and everything.